St. Patrick's Day Diet | ya, we're basic. It turned out to be a surprisingly busy week and because of that I literally didn’t bake or cook a thing. My tummy hurts and it’s only going to get worse after a few green beers this weekend (and the subsequent drunk eats that occur afterward). I am hoping to get some treats under my belt this afternoon and in the meantime, I’m hoping you get inspired by my favorite flavors of the season from some of my favorite online faces. 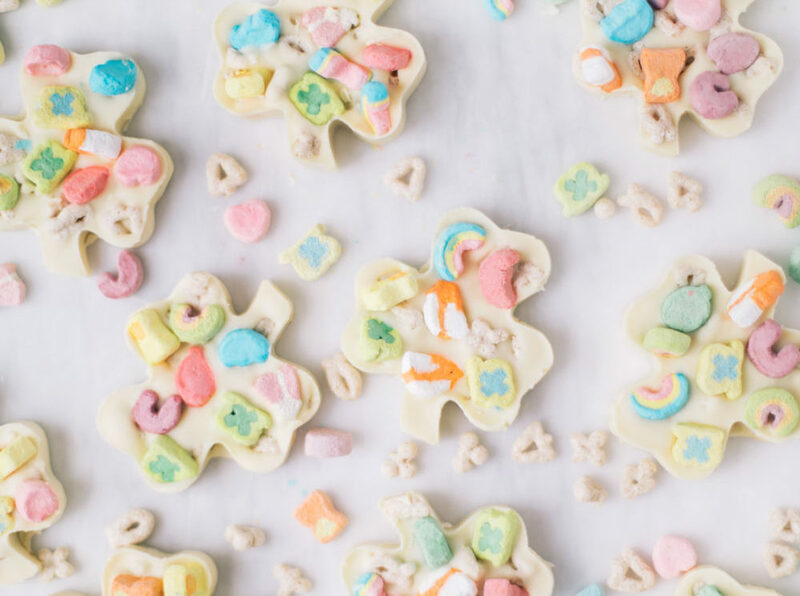 This Shamrock Bark from The Blondie Locks got me majorly inspired for Saturday. While we’re hanging with TBL, I also want to make these mini sponge cakes for every occasion. Red velvet is good. But green velvet is BETTER. So many shamrocks, so little time. But I would eat these whoopie pies in a heartbeat. If I am going to go hard for St. Patty’s though, it just wouldn’t feel right without a sugar cookie. Seriously, can we consider a pot of gold for next year’s celebration? Any way you cookie cutter it, everything above will be delish. I have to get my hands on making just one, which one would you choose? *Photo via The Blondie Locks.